Department of Education of the Yaroslavl Region Government. 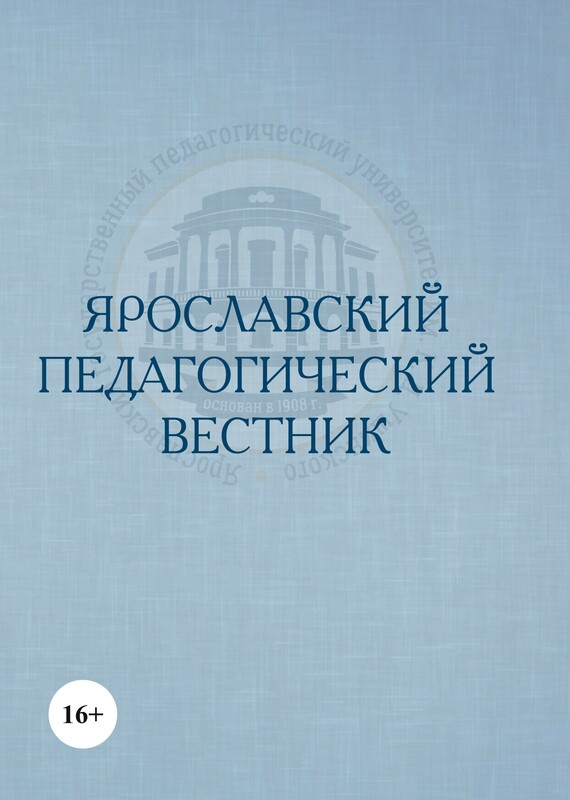 The scientific magazine "Yaroslavl Pedagogical Bulletin" has been issued since 1994 and is the first scientific magazine in the Yaroslavl region where articles on various fields of science are published. The magazine is included into the list of leading reviewed scientific magazines and editions where the main scientific results of theses to get the scientific degree of Doctor and Candidate of science are published. The magazine is included into the Russian Science Citation Index (RISC). Access to all editions of the magazine is free on the site of the magazine and in the Scientific electronic library eLIBRARY.RU. The certificate on mass media registration (The Ministry of the Russian Federation for the Press, TV and Radio Broadcasting and Means of Mass Communications) PI No. ФС 77–68474 PI dated from January 31, 2017. It is possible to subscribe for the magazine in post offices: index in the all-Russian catalog "Press of Russia" – 83586. All articles received by the edititors are tested in the system "Antiplagiat. Higher Education Institution".